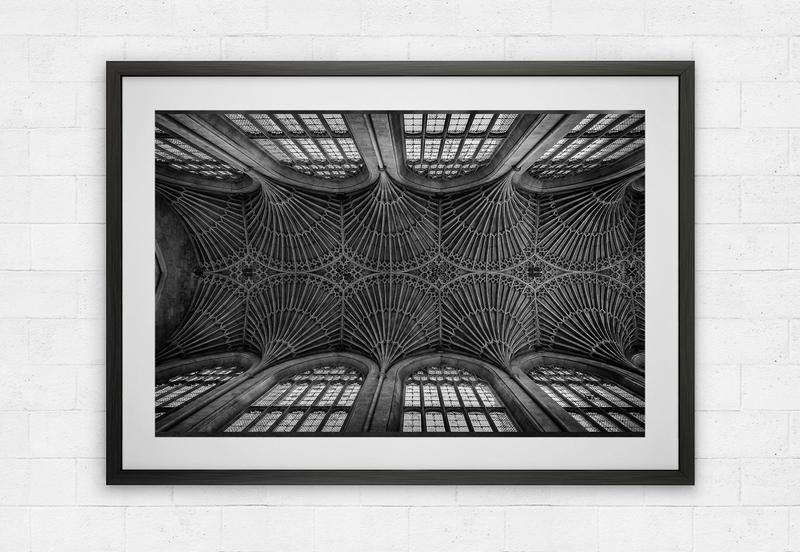 This stunning black and white image of the famous Bath Abbey. 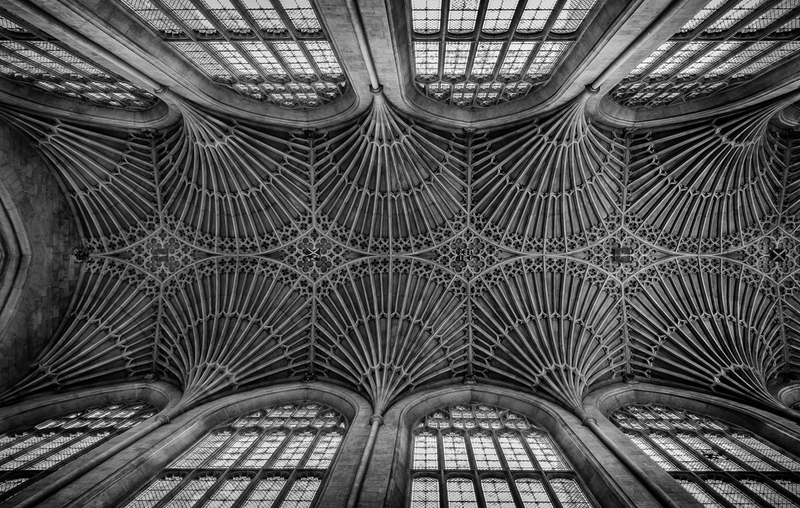 This long exposure shows the exquisite detail of the vaulted fan ceiling of the Abbey. (Click here to view a larger image).